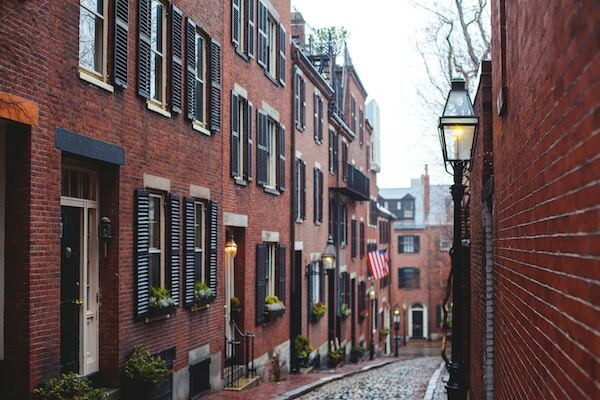 As one of the oldest major cities in the United States, Boston is chock-full of both historic and modern sites begging to be explored. Its red-brick buildings and brownstones give the quaint feel of a storied, cozy town, while its narrow streets invite locals and visitors alike to traverse its charming neighborhoods by foot. You’ll be hard-pressed to find natives with more pride for their city than those of Boston, and after spending time here, it’s not difficult to see why. If you’re navigating your way through Beantown and need to store your things for a few hours or a few days, book confidently with Bounce. Are you a local who needs to temporarily store your things so you can hop from one activity to the next without being held back by extra weight? Drop off your work bags, gym bags, and whatever else with a Bounce partner for bag storage in Boston. Heading to Boston for work or play? Perhaps you have only a limited time to explore the city, or you’re planning on going directly from the airport or train station to a point of interest. Gain the freedom to experience the city without lugging your things about with Bounce luggage storage in Boston. As urban dwellers and frequent travelers, we created Bounce since we learned that convenient, affordable options for short-term bag and luggage storage were few and far between. We’re proud to offer Bounce as a solution for all of your bag storage needs in Boston. Simply locate a Bounce partner near you, drop off your things, and enjoy New England’s most popular city with your hands and shoulders free. TD Garden is Boston’s premier sports, entertainment, and convention arena. Given TD Garden’s strict no-bags policy, you should book bag storage with Bounce before heading to the game to avoid headaches and potentially denied entrance.